The Webster’s New World dictionary definition of luxury is “the unusual intellectual or emotional pleasure or comfort derived from some specific thing”. 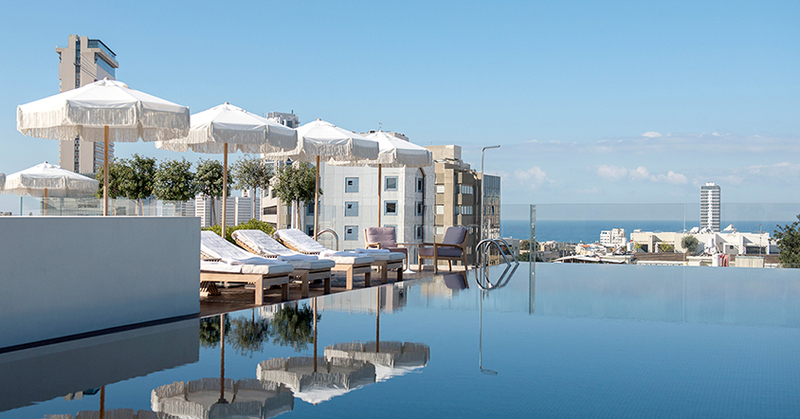 With pleasure & comfort at the heart of The Norman Tel Aviv experience, we think it’s safe to say hotel luxury takes on a new dimension here. Because luxury is key to providing a perfect Norman hotel experience, we ensure that service delivery found in all areas of the hotel is exactly what you’d expect, plus some!. This attention to detail is matched in all aspects, from the bed linen to the cocktails, the art to the design. As such, The Norman was delighted to win a coveted place on Conde Nast Traveler’s Gold List 2017 as well as the Time Out award for the Best Restaurant located in a hotel in Tel Aviv. Steered by Chef Barak Aharoni, Alena has launched a new and unique a la carte menu which has been a hit with local and international foodies alike. Guests can also expect to be dazzled on our rooftop where they will find the award-winning Dinings, an Izakaya style Japanese Tapas, where Japanese food cuts across fantasy feating. Three moods invite diners of all descriptions including to The Library Bar located on the ground floor, which on Tuesday evenings transforms into a cultural checkpoint hosting The Norman Series, a program of dialogues with both local and international cultural leaders and serves a Bar Menu that satisfies all appetites. Additionally, the Wellness area has extended its range of massages, detox and private training options. Altogether, luxury guest service is at the top of our agenda, to ensure all guests return as friends of The Norman.